DQS received from Amy Badskirt, originally uploaded by Lynne @ Lilys Quilts. 200 swappers all made quilts in the Flickr doll quilt swap. I made and mailed mine but it hasn't arrived yet. Mine arrived this morning. It was the one quilt in the whole swap I really wanted to come to me - that's going to sound like I'm just saying that but I was pretty sure it was mine from the moment I saw it and would have been pretty annoyed if someone else had got it. So here it is, hanging on my kitchen gate. And now it's hanging up in my kitchen where I'll see it all the time. It was made for me by the uber talented and cool Amy Badskirt. She put this label on the back. That block is the Georgetown Circle which is very high on my TTD list. Maybe the next QAL LOL. 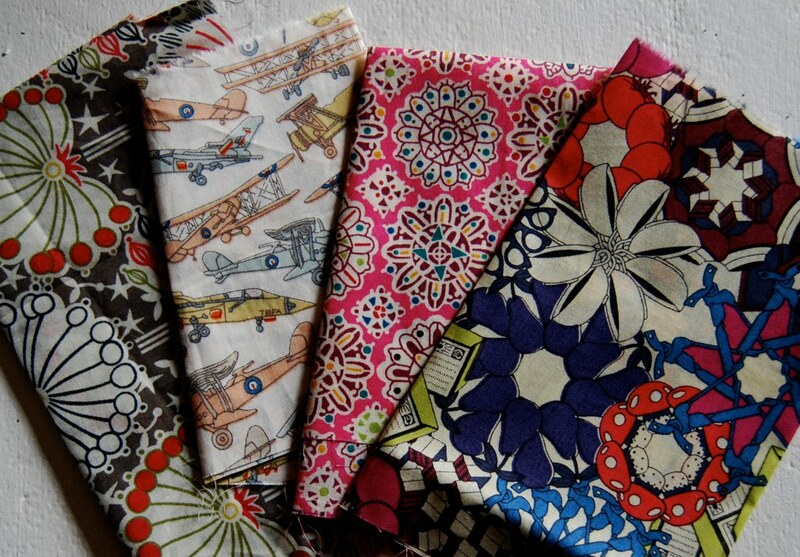 And included some Liberty fabrics. Just look at these beauties. 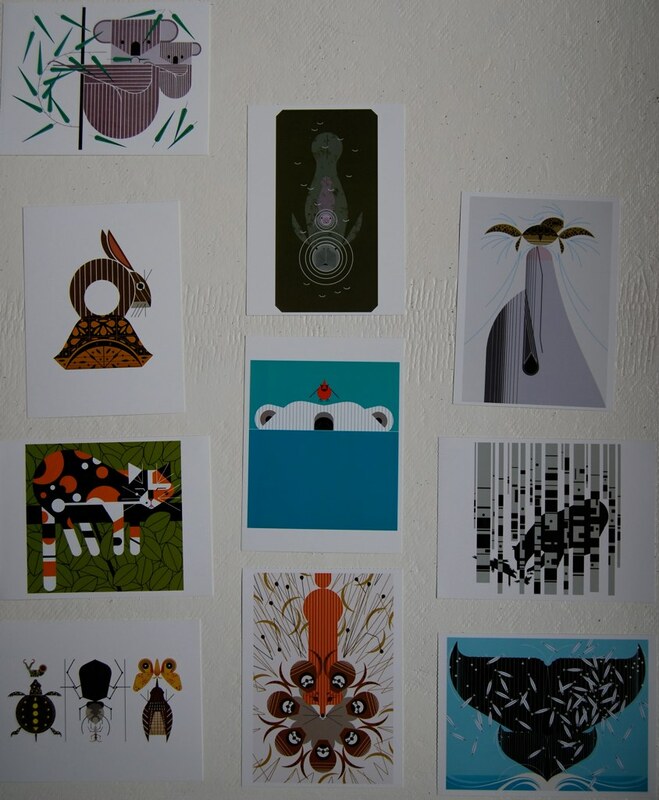 And some Charley Harper postcards. Just in time for Ethne's QAL. Thank you Amy for a wonderful, wonderful parcel. Fabulous swap all the way around - huh? 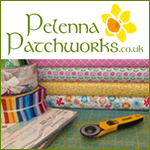 Gostei muito do seu blog, tenho me interessado em patchwork e senti que aki posso aprender muito. Tenha uma semana encantadora. So pleased you got the quilt you wanted, and those fabrics are amazing! 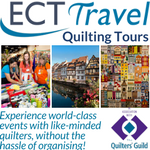 I am on tenterhooks waiting for mine, and hoping it won't go astray and be 2 months late this round! So far I have had 2 very vivid nightmares in the last week, where I get my DQS10 parcel delivered by the post man and squeal with delight and then open up to reveal really horrible quilts (the sort of thing that doesn't actually exist in the amazing high standard of the swap), one was just maroon terry cloth and the other just had bits of fabric glued on! But I wake up in a panic! My husband says he is going to stop me from doing anymore of these swaps - lol! What a score!!! How lucky to have Amy as a (very generous) partner!! 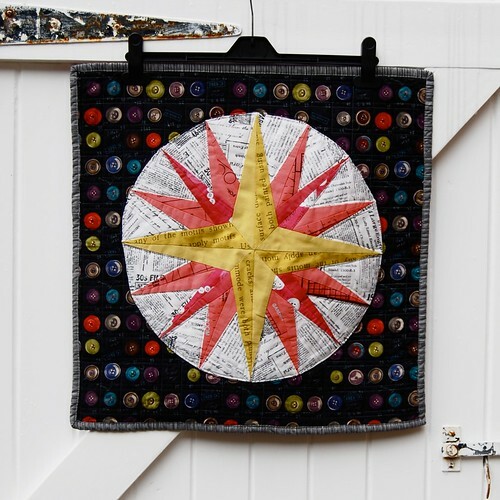 I adore the button fabric in the background of that fabulous star circle. Oh that little sneak! That quilt was for you! Amy totally hit the nail on the head with this. Everything just screams you! What fun fabrics she used for doll quilt. Lucky Lynne I say! Adorable. OMG You got Liberty Tomahawk print.I'm very jealous - have you seen the Nike High Top Baseball boots soon to be released in that Liberty print. 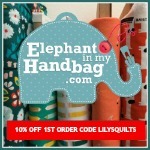 I soooo NEED some,I'm checking liberty online daily to try grab some as their release date is cloaked in mystery! !